If you want to be blonde (or blond-ish) by Summer, start your blonding plan now! Going blonde in steps is lots smarter—and easier on hair—than trying to do it all in one go. 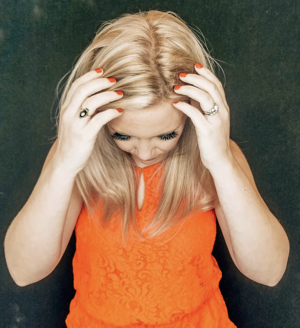 Depending on your natural shade and whether or not you have existing artificial color, even a speed race to blonde can take more than one 6 to 8 hour salon session. Why not take the safe route, and adjust your blonde as you go? Start with an idea of how light and bright you want your eventual summer blonde to be. This depends a lot on your hair’s natural color, texture and condition. Talk to a blonding specialist, share your dream photos, and get on a hair moisturizing plan. To treat your hair with TLC and get used to changes as you go, start your journey by bumping the base or lightening up your hair 2-3 shades with a high-lift permanent color. This is often done when you already have highlights and if not, you can pair a few face-framing ones with a base bump to start getting used to lighter pieces near your face. If you have dark hair, consider a high-lift blonding product to achieve a pleasing shade without orange — alternately lighten the base just one shade to avoid excess warmth. Of course, dark blondes can break the base to go even blonder. Before you start, discuss how often you’ll visit the salon, based what sort of roots you’re willing to live with, how light you want to go with each incremental change and your eventual end goal—be it a taste of honey or full-on platinum. All-Nutrient Design Team Artist Andrea Harbison says breaking the base is one of her favorite techniques to use on blondes! "This is why we see a lot of blondes who still have a dark ring, especially when they throw their hair back into a ponytail. Breaking the base is the process of lightening the base, or natural roots up to one and half levels lighter in order to diffuse dark roots, so that they seamlessly blend with highlights. You need to lift the base up to where there is no longer a harsh ring, so that it softens the color and transitions for an all over blonde effect." Hopefully, you’ve been conditioning and moisturizing your locks. Now, start moving your brunette or darker blonde into a look with darker roots that are blurred into several light pieces at the midshafts and ends. The ombré approach is a great way to test the waters to see if you really want to transition to a lighter look. An even better option is combining a few balayaged pieces with an ombré. Your colorist might also add a demi-permanent color to the mix, to further break the base while shifting its tone or boosting shine. Remember, now skin tone comes into play and you'll want to decide if your blonde should be warm or cool, which your colorist can control. 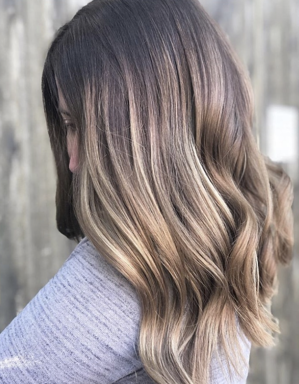 Optionally: Try soft Balayage highlights paired with a rich-brunette smudged root for the “illuminated brunette” look that shifts you closer to blonde without a drastic change. 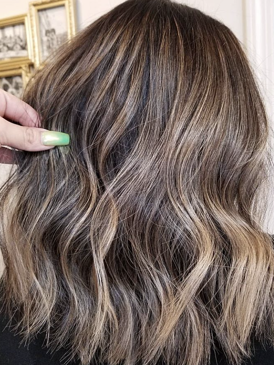 All-Nutrient Pro Artist Marissa Ryan specializes in creating subtle lived in looks with balayage and ombre that are great for low maintenance clients. Always have a pro assess your hair’s condition before taking the next step to supercharged blonde. Because super-fine Babylights move from roots to ends, they will help blend any regrowth. A salon pro will avoid overlap with previous ombré at the ends. If you’ve been maintaining your hair’s health with moisturizing treatments, you’ll be able to have enough babylights to start you on the way to an all-over blonde look. You can still stagger them to keep a deeper root if you want—or glaze the roots for a shadow root. Anyone can have a taste of blonde with Babylights—add a little or a lot. Optionally: If you discover that Ombré hasn’t left your hair in great condition, simply do a root-brightening retouch to maintain the new base and finish with glosser before adding babylights the next time. You don’t have to expose hair to bleach with every step—especially if you’ve planned to go summer blonde in 4-6 visits. All-Nutrient Pro Artist Jacqueline Rosales is a master of babylights! Check out this before and after! Now, add a half or full head of foiled highlights, which can take you up to 90-percent blonde. They’re often placed to avoid previous ombré or babylights—if you didn’t over-do those. 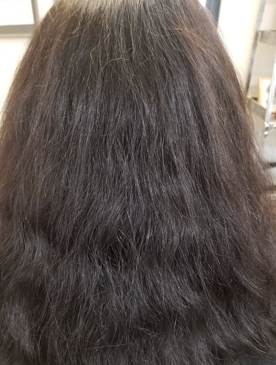 However, if you waited at least four weeks between bleach applications, your colorist can re-apply bleach to further lighten existing highlights and ends. Additives that protect hair during lightening to improve elasticity and strength are your best blonding friends at this stage. Just pay attention to the tone each time and the degree of warmth. Do you really need lighter highlights or not? 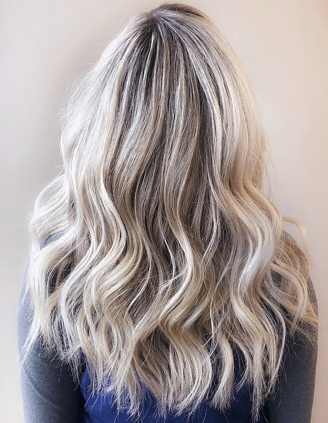 Since this plan will bring you into the realm of blonde by June or July, make certain you are fully stocked with the right blonde after-care products that protect your blonde investment. Blonde Secret: The sun might lighten your hair but it also degrades and damages it, so always use UV protecting products—especially if you want to go even lighter during Summer. All- Nutrient Pro Artist Colleen Foxx is a blonding specialist, who balances warm and cool tones during that "almost" blonde period. She educates and encourages her clients about healthy lightening steps!